Ants are highly intelligent insects that work together in communities and communicate in order to socialize and solve complex problems. Ant colonies can range from a few dozen in an small, naturally formed area to millions in a large, organized system. 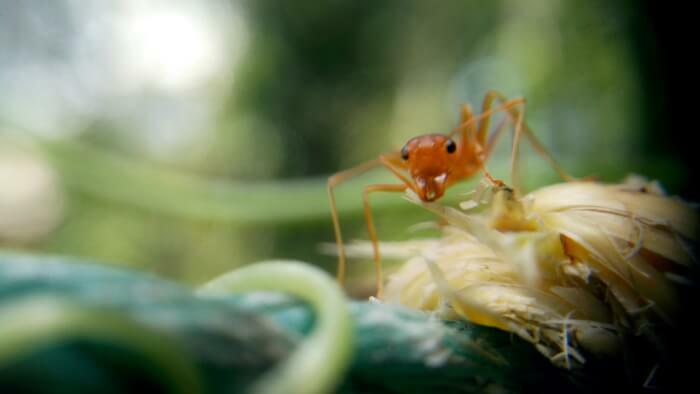 Ants’ main source of communication is the release of pheromones to alert other ants to dangers and food sources. Ant colonies grow thanks to a queen ant, who is responsible for reproducing more offspring for the colony. Male ants’ main purpose is to mate with the queen, and they typically die after doing so. Worker ants are females who are not able to reproduce.